The Knowledge is a weekly blog for the Design Network, covering policy and other significant news to do with planning, design and the built environment. Don’t miss out, the blog will be brief, as well as useful and entertaining. Design England collaborated with Citiesmode, the city planning research and training consultancy, to support the latest phase in the evolution of Kingston Council’s new Local Plan to guide the future development of the borough. The Local Plan will provide a long term vision and strategy to meet the future needs for homes and employment in the borough, identifying changes that may happen, and the broad locations for such development. Design England's Jane Briginshaw spoke about gender diversity in the session "Architecture for All". Seven powerful women talked about the ways they were tackling diversity. 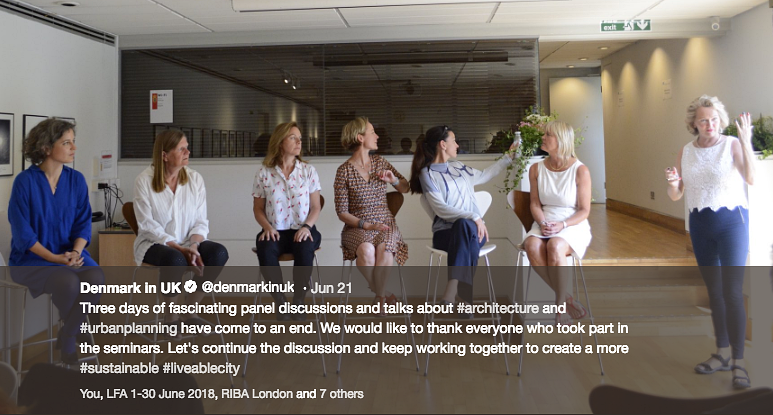 Anna Kerr and White Arkitkter's fabulous Places for Girls project, Caroline Buckingham on RIBA’s mentoring programme, Louise Wyman reminding us that for Homes England diversity is strength and Anna Schabel infusing new life into Women in Architecture. laying down the 'House that Jane Built challenge'. 2018, The Year of Women in Architecture and Construction. Funders only commission partners with a commitment to an all-female team on at least one major housing project. All female means yes, the architect, engineer and HR manager. It also means the plumber, electrician, site manager and bricklayer. Working with WSP on a project to unlock Social Value in urban design. Watch this space. Design England developed this session at Ecobuild to help connect the present-day economics of housing to the real lives of people. The session took three different perspectives and asked the journalist and writer, Polly Toynbee, to comment from her “bigger picture” viewpoint. A key objective was to create a dialogue between panellists and audience and arrive at clear recommendations. Setting up a fund, process and campaign to identify and support community led projects that increase the design capacity of communities and respond to real needs and locations.. We are using an innovative crowdfunding process so that Design for Communities is sustainable and gathers additional financial and community support. Jane Briginshaw chairs design review panels for Design South East, Medway, Kingston and Surrey Heath. She is a design review panellist for Places Matter, London Legacy Development Corporation, Urban Design London, Camden and Wandsworth Councils. Looking at the specific design challenges of high rise, super-dense, inner city, town centre and suburban schemes. Including speakers from Design Council CABE, RB Kingston, Building for Life workshop and a site visit to Maccreanor Lavington’s new housing development, Blackfriars Circus. With the Takalefaire Co-operative in St Denis, outside Paris, we were shortlisted for the major French public sector land competition inventons la métropole. This is a plan for a self-funded community led live/work project to refurbish and provide new build accommodation for music education and events, affordable maker and co-working spaces. We worked with renowned philosopher Bernard Steigler to develop the project considering the future of work and how we may live in the future. A training seminar focused on the design details and practicalities that can make a difference to the quality of a project, to the day to day life of the residents and to the perception of new housing. The half day training is tailored to local requirements and combines inspiring speakers, useful information and a hands-on workshop with a real case study. After the training planners and councillors have gained an understanding of what good design is, why it matters and what they can do to improve the quality of housing projects. Since the neighbourhood planning system was created in 2011, 1,500 communities in 64% of local authorities round the country have developed a neighbourhood plan. This is Wandsworth’s first neighbourhood plan and an exciting opportunity for people in Tooting to shape the decisions made about the local area. Anyone with a stake in the local community can be involved to help work up guidelines in the form of a Neighbourhood Plan, to influence planning decisions within the area of the plan. On the strength of a pilot, Design England launched an intensive five week public speaking training course. Geekspeak was joyous and funny. It hit a chord because young and old women are completely ready to speak up and be heard. Within minutes and with the tiniest encouragement from the fabulous London Victorian Toastmasters trainers, participants gave brilliant unrehearsed speeches on a random topic with confidence. Is it the job of local authorities to create better places? Hosted by Lord Bob Kerslake, at the House of Lords, we convened a group of leaders and politicians to explore the role local authorities can play and how they can leverage community support to make good places. Why and how do you start a new conversation on placemaking? In a world much changed from the days of the New Towns and the Urban Design Task Force we need ideas and strength from new partners to lead us to creatively imagine and deliver even better new places. Start with a conversation. Lord Kerslake was kind enough to host Who’s Job Is it Anyway at the House of Lords for a group of national and local politicians and leaders, from organisations ranging from the GLA to Ebbsfleet, Cambridge, London, Kent and Bedfordshire facilitated by JBA, Telos and Design South East, gathered to pool experiences, thoughts and ideas.